Senior AIADMK leader D Jayakumar made it clear that his party would be the senior partner in a tie-up, saying "we will lead the alliance"
The AIADMK on Monday said it would lead a coalition of parties in Tamil Nadu in the Lok Sabha elections, adding "anything can happen in politics," apparently not ruling out a tie-up with the BJP. This comes even as the DMK and the Congress have agreed to continue their alliance for the general elections. Senior AIADMK leader D Jayakumar made it clear that his party would be the senior partner in a tie-up, saying "we will lead the alliance." Deputy Chief Minister O Panneerselvam had on Sunday said that AIADMK was holding talks with regional, national and friendly parties and the permutation of the alliance would be made known after a clear picture emerges. Asked if his party would tie up with the BJP since the Congress was already in the DMK camp, Mr Jayakumar recalled the party coordinator Mr Panneerselvam's observations in this regard. "Anything can happen in politics...he (Panneerselvam) gave a veiled indication... only you have to understand," he told reporters. 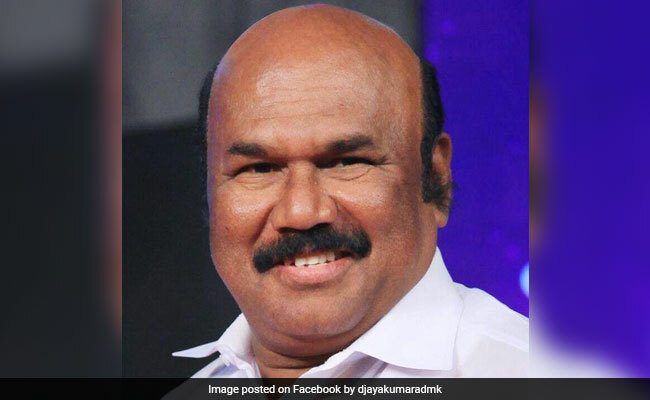 On why AIADMK began receiving applications from aspirants for all the 39 seats in the state and the only segment in neighbouring Puducherry on Monday if it was set to stitch an alliance led by it, Mr Jayakumar, who is also the Fisheries Minister, said it was an usual exercise. "You are mistaken, we will receive applications for all the constituencies... but after the seats are allocated to allies, all those partymen who wanted such seats will work for the official candidates," he said. The exercise of receiving applications does not mean that the AIADMK will be contesting all the 40 constituencies in Tamil Nadu and Puducherry, he clarified. While sources in the AIADMK declined to comment on ties with the BJP since the top leadership was seized of the matter, those in the BJP said a tie-up with AIADMK was "pretty much in the making." The sources said that an AIADMK-led coalition could include outfits like the PMK, DMDK, Puthiya Tamizhagam and Indiya Jananayaka Katchi and a Kongu-region based outfit.